I’m going to bypass any politically correct discussion of Thanksgiving this week and return to the source: William Bradford’s Of Plymouth Plantation. Bradford was the second governor of the Plymouth Colony, and his personal history of the spiritual and literal journeys of his fellow Separatists out of England and to the New World is one of the earliest and most important sources of British American history. Bradford began writing the book in 1630, and it covers the formation of the Plymouth colony up to 1647, including that first legendary “Thanksgiving”, which did not become an official holiday until two centuries later. Ironically, one factor which rather inadvertently led to the establishment of Thanksgiving as the quintessential American holiday was the theft of the source which first referenced it. 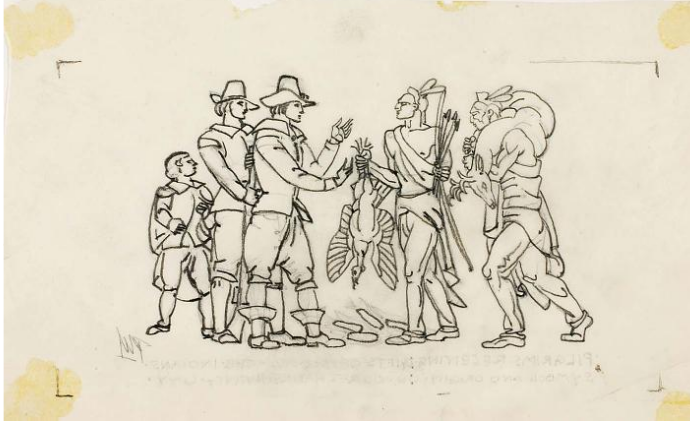 A paragraph from Plymouth Plantation; Paul Manship’s idealistic image of the first Thanksgiving, 1930s, Smithsonian institution. 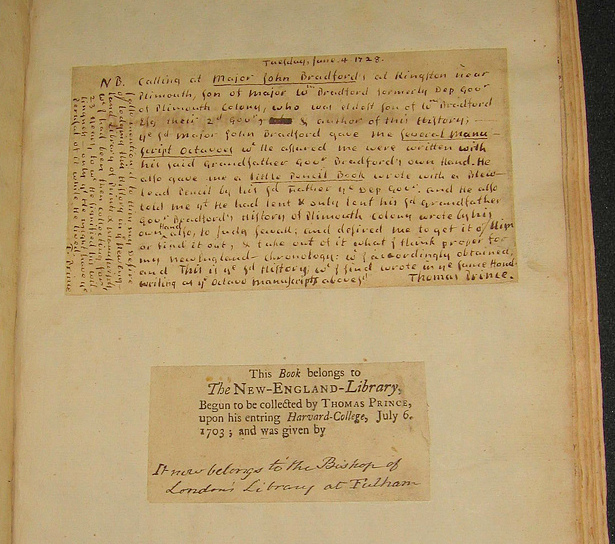 Bradford’s book was known and referenced by colonial American historians in the seventeenth and eighteenth centuries, but it remained in manuscript form. 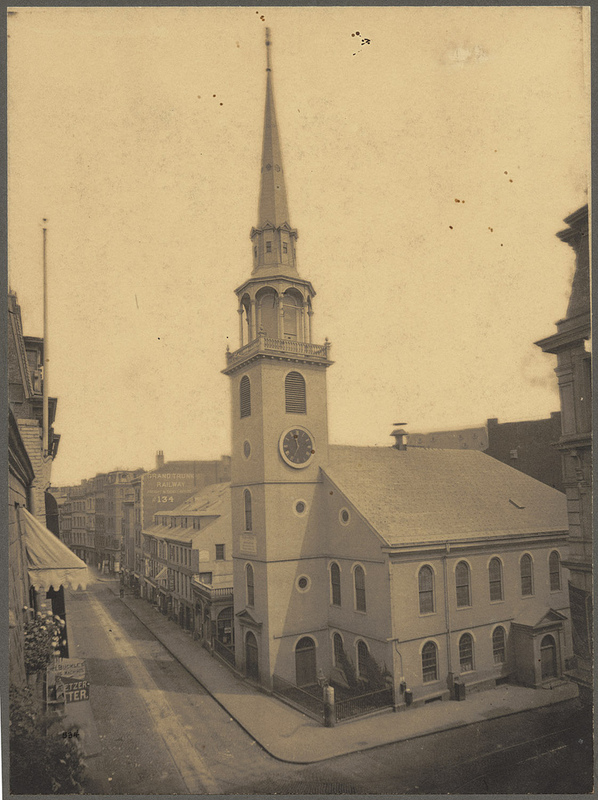 After the siege of Boston, when the British occupied downtown, troops ransacked the Old South Church (and turned it into a riding school, of all things) and found Bradford’s Plymouth Plantation lodged in the steeple. One (or several–who knows?) soldier took it as a spoil of war, and it made its way to Canada and later to Great Britain where it somehow (again–who knows?) found its way into the Library of Fulham Palace, the official residence of the Bishop of London. There it was used and referenced by several British historians of early America, bringing it to the attention of American scholars–who had apparently forgot all about it? I know; there are a lot of question marks in this story! In any case, the sole copy of this very important American source was in England and a movement to get it back began organizing in the 1840s. 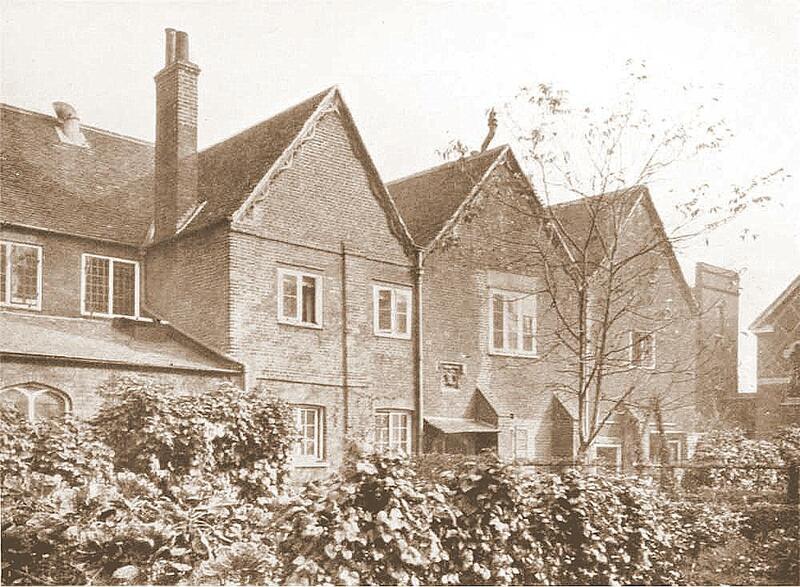 It took a while–a half-century to be precise– but the British “borrowers” did consent to have the text printed while it was in their possession. It was published in 1856, under the auspices of the Massachusetts Historical Society, and it clearly revived interest in the history of the “Pilgrim Fathers”. 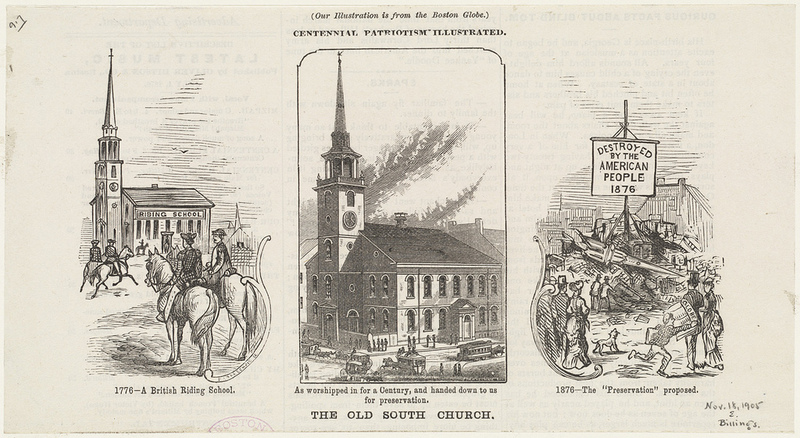 Old South Church, Boston, apparently threatened after surviving the great Boston fire of 1872, and in 1898, Boston Public Library; Fulham Palace in the later nineteenth century. The publication of Plymouth Plantation came at a time when the United States was increasingly divided over the issue and expansion of slavery, and the text seems to have stimulated interest not only in the Pilgrims but in the Northern settlement at Plymouth, to counterbalance the earlier Southern settlement at Jamestown. After the Civil War broke out, President Lincoln responded to the continued lobbying of the influential author and editor Mrs. Sarah Josepha Hale, a strong advocate for the extension of New England values to the rest of the country as a way towards national unity, and proclaimed Thanksgiving a national holiday in 1863. George Washington had issued a similar proclamation, but Lincoln formalized the custom and standardized the date, in the spirit of both thanksgiving and union in the midst of war. 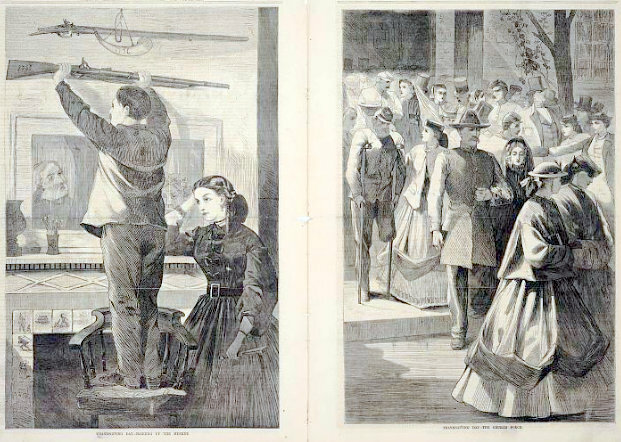 Two Winslow Homer views of Thanksgiving Day, 1865 from Frank Leslie’s Illustrated: Hanging up the Musket and The Church Porch, Smithsonian Institution. And what of Bradford’s manuscript? It remained at Fulham Palace for nearly the rest of the nineteenth century, despite some high-ranking diplomatic deliberations. Trades were attempted, and some papers of King James I were sent over to Great Britain, with the hope of receiving Plymouth Plantation back. To no avail: the Bishop of London had to consult with the Archbishop of Canterbury, who had to confer with the Prince of Wales. It all took some time: not until 1897 was the manuscript returned to Massachusetts, where it remains, in the State Library. 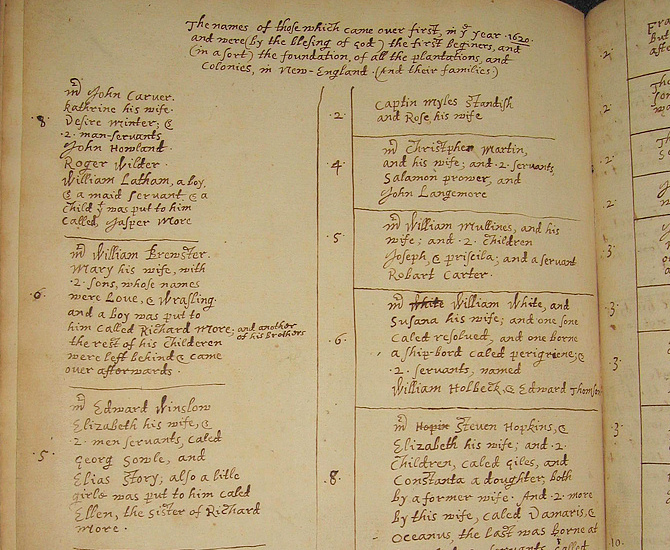 Two pages from the Bradford manuscript at the State Library: the title page and a list of Mayflower passengers. Note the IT NOW BELONGS TO THE BISHOP OF LONDON’S LIBRARY AT FULHAM note on the former. This entry was posted on Wednesday, November 21st, 2012 at 7:09 am	and tagged with Abraham Lincoln, books, holidays, illustration, Massachusetts, Thanksgiving and posted in History. You can follow any responses to this entry through the RSS 2.0 feed.